Team Dignitas bows out of playoffs in crushing 3-0 loss. 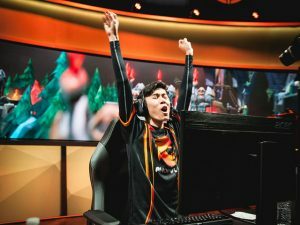 Despite some well-publicized team issues in recent memory, Phoenix1 operated like a well-oiled machine in their decisive win over Team Dignitas at the NA LCS Spring Playoffs. 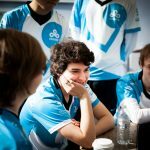 The team will move on to the semifinals where they will face a tough obstacle in the second-seeded Cloud9. 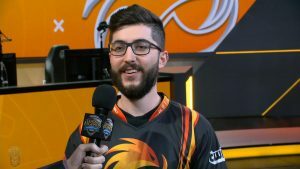 With Saturday’s win, Phoenix1 guaranteed themselves a top 4 finish and a minimum prize of $20,000 and 30 championship points. 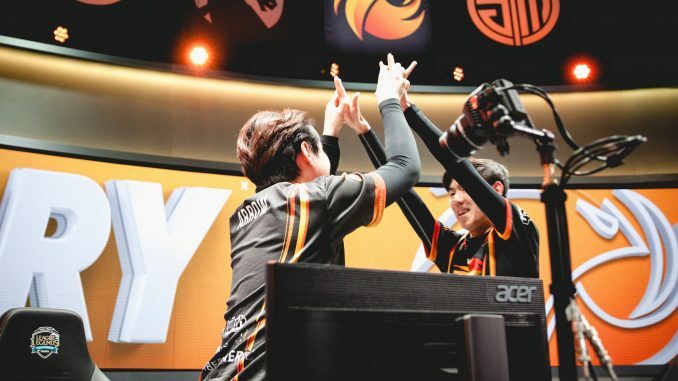 Phoenix1 entered the Spring Playoffs as the number three seed, but with several questions regarding the starting roster. In March, the team released support player Adrian Ma, who had expressed frustration with Rami “Inori” Charagh in the weeks leading up to his dismissal. The support role then shuffled between starters Jordan “Shady” Robison and William “Stunt” Chen, a player with little LCS playing time. 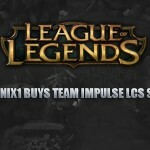 The drama and roster changes leading up to this match left fans with a lot of key questions. 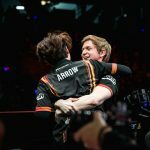 Would fan-favorite William “Meteos” Hartman find a rebirth on the Phoenix1 squad? Was Inori already at risk of obscurity in P1’s most successful season to date? Was William “Stunt” Chen already in danger of losing his starting position? On Saturday, P1 offered up answers about the starting roster, as Inori and Stunt played in all three victories. 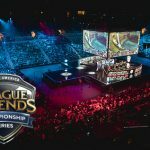 Inori, as well as Ryu Sang-wook, had excellent games this series, reestablishing this team as a serious LCS championship contender. Ryu had a dominating 30/3 KDA this series, reminding viewers why he was a 2016 Worlds semifinalist. William “Stunt” Chen celebrates the quarterfinal win. Stunt was particularly pleased with his performance this Saturday and seemed to earn himself a starting roster spot for the remainder of the Spring Playoffs. 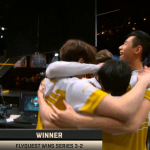 For their part, Team Dignitas came out hot in this series, keeping toe to toe with Phoenix1 and taking two Baron kills in quick succession in Game #1. That first game came down to a final team fight at Baron, and when P1 came out on top, it spelled doom for the wildcard team. Games two and three were one-sided affairs, and Team Dignitas gave up the 3-0 sweep. 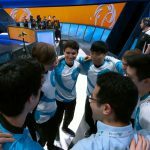 The NA LCS Spring Playoffs will continue on Sunday, where 2016 Spring Playoff winner Counter Logic Gaming will face LCS newcomer FlyQuest.